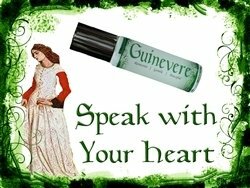 Guinevere was a betrothed to King Arthur, but fell in love with Sir Lancelot. She was beautiful, passionate and simply followed her heart. This lovely blend of Lavender, Grapefruit & Palmarosa has sweet herbal notes, which will remind you of dew-laden meadows.